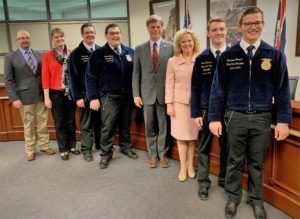 We have reached the end of Career Technical Education (CTE) month and we have seen – through awards programs, student success stories, visits to policymakers and site visits with employers – the importance of supporting high-quality programs of study across the nation. 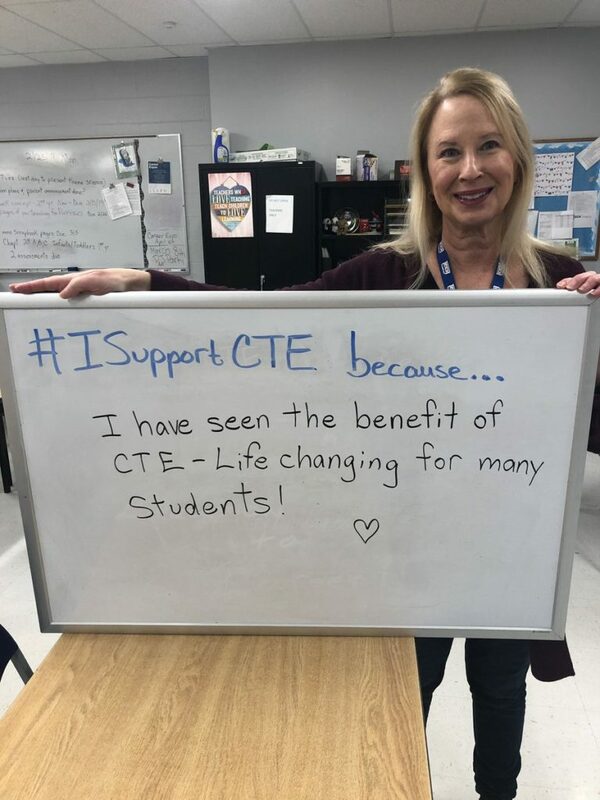 CTE provides middle school, high school, postsecondary and adult learners with the knowledge and skills they need to be prepared for successful careers. Learners enrolled in CTE programs progress along a pathway of increasingly specific academic and technical courses. 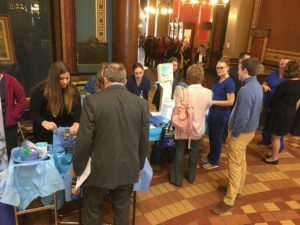 They often have the opportunity to participate in internships, engage with employers, and apply what they are learning through hands-on projects. • Building of industry partnerships and more. That is why the CTE community is leading the charge to double the federal investment in programs that work for America. How Can Organizations Support the Campaign? 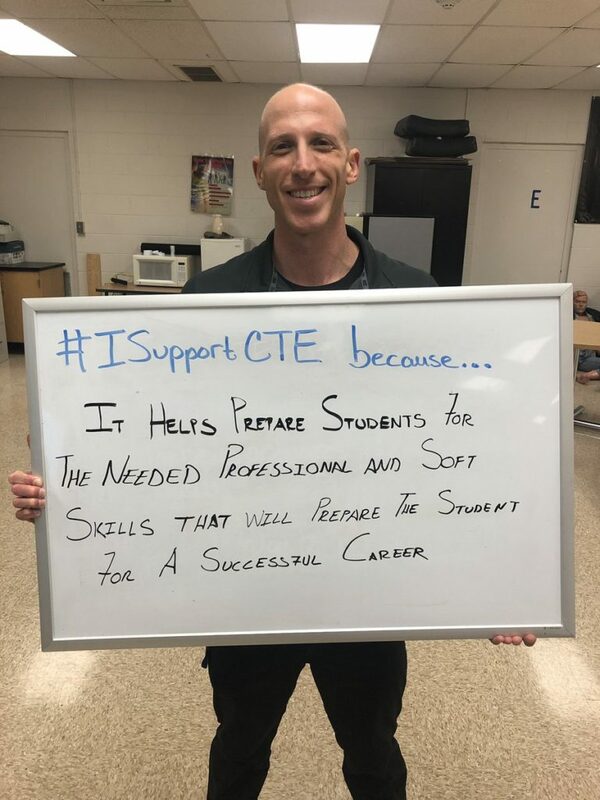 Visit www.ISupportCTE.org to sign your company or organization on to support doubling the investment in CTE. • Receive email updates and more. 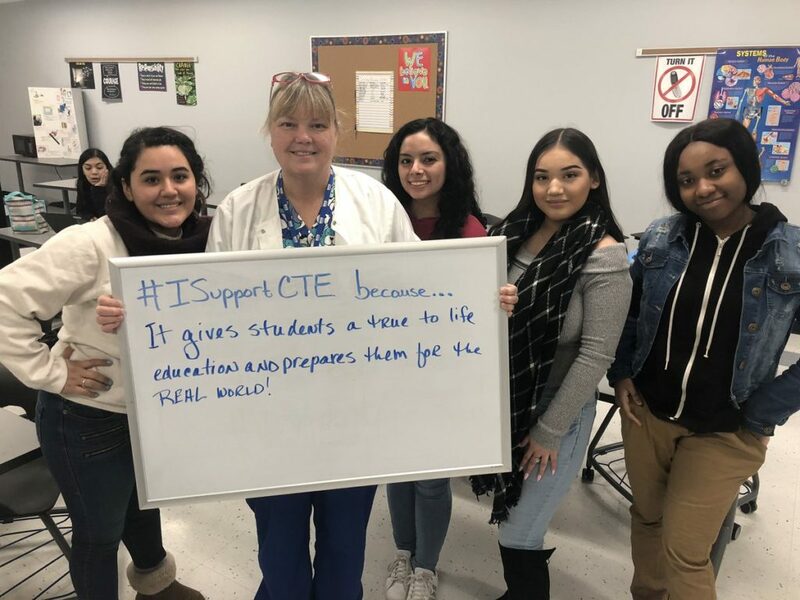 You can also keep up with the campaign on Twitter by following @CTEWorks and using #ISupportCTE when posting about the campaign. Share the campaign with your networks — and invite them to visit www.ISupportCTE.org to sign on. 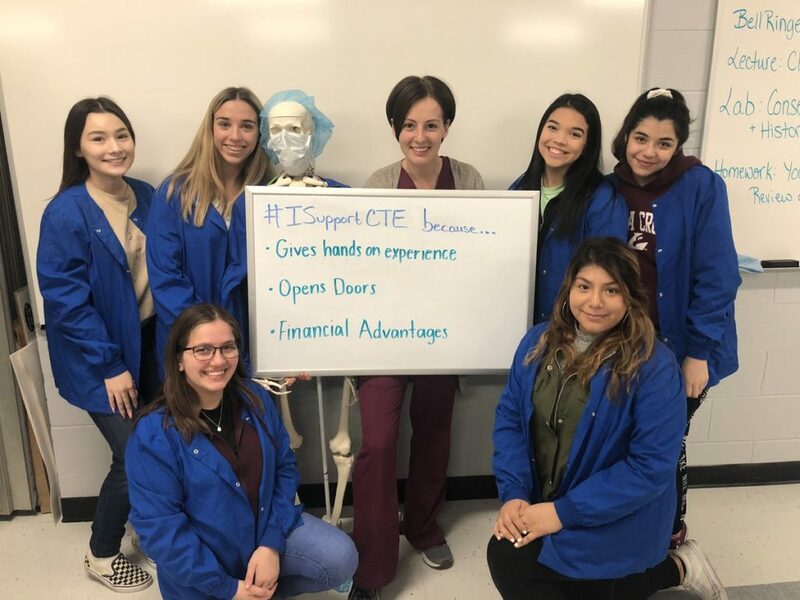 Visit the Share page on www.ISupportCTE.org to find sample tweets, a partner guide and more to help you share the campaign. 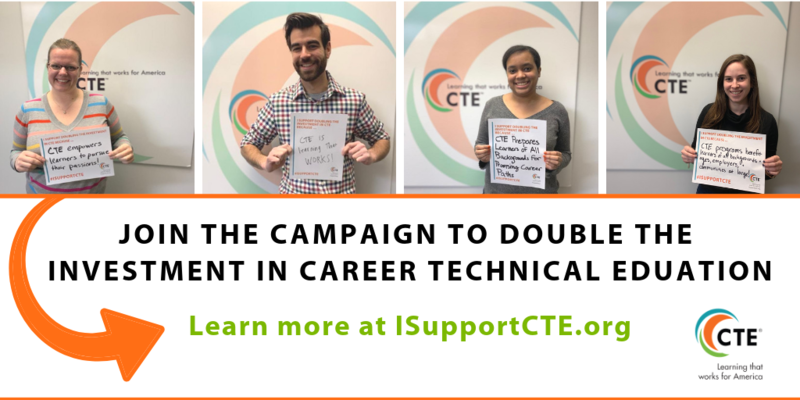 There's a new campaign to double the investment in #CareerTechEd! 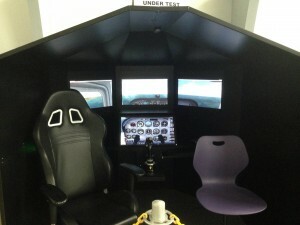 Check out @CTEWorks' website at https://t.co/gL7ev1nIso. We are already at the end of week three for Career Technical Education (CTE) Month®! This week we are highlighting the learner voice. Did you know last year CTE programs served nearly 8.2 million secondary students and 3.8 million postsecondary and adult students? Sharing success stories is a great way to promote high-quality programs of study. In these stories, you will see what happens when learners are empowered to choose a meaningful education and career. Coming Soon: It’s important that learners have access to the resources they need for success. 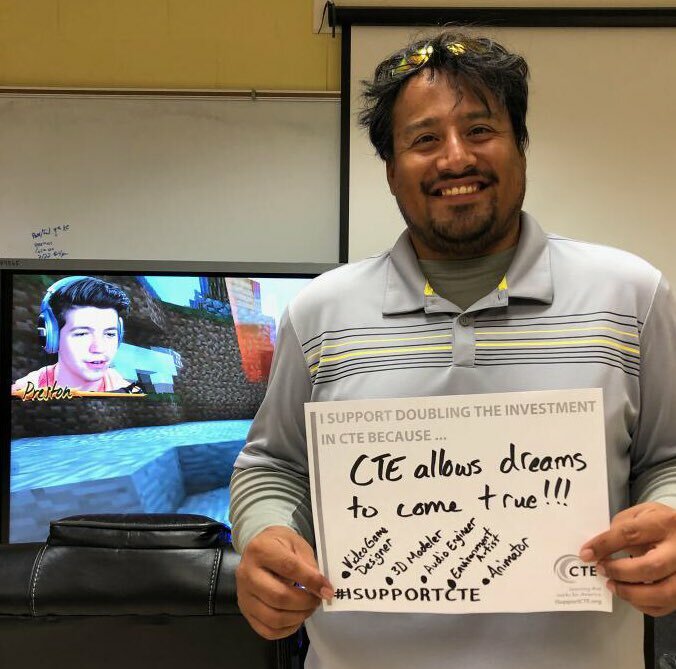 So, the Career Technical Education community is embarking on a campaign to double the federal investment in #CTE. 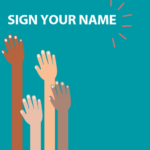 We are asking employers to sign on to support the campaign and hope to get 10,000 signatures by April! Check back next week for details. 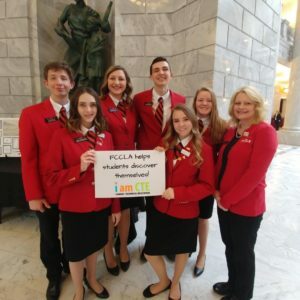 Listen to current West Virginia Nicholas County Career Technical Centers (NCCTC) learners who participated in the Exploratory Program last year. Learners discuss how the Exploratory program informed them of the opportunities available in CTE and helped them decide where to focus their future career goals. Hear how participating in a dual enrollment course is helping Abigail Christensen, Century High School student get a leg up on her future as a design drafter. She talks about the importance of having supportive instructors and upon graduation she will have a certificate in mechanical drafting. Now working at Oracle as a technology account manager and the founder of a non-profit organization helping entrepreneurs. Terrell reflects on his high school experience and lessons learned that he has carried into his career. Inspired by her own personal experience with a caring doctor, Kayla decided she wanted to help others too. In order to become a doctor who truly cares about patients and makes a difference in their lives. She’s making real progress towards that goal right now through her Internship at Poudre Valley Hospital. Casey Kraft has been planting seeds for his future for as long as he can remember. All along the way, his teachers have nurtured his passion for farming and helped him take what he learns in the classroom to the fields of his family farm. He participates in FFA and works on the farm before he starts his school day. Hear from Assistant Secretary for Career, Technical, and Adult Education Scott Stump as he talks about stats on CTE, youth employment, and encouraging states to be Bold in the Strengthening Career and Technical Education for the 21st Century Act (Perkins V) state plans. Check back next week for more highlights! 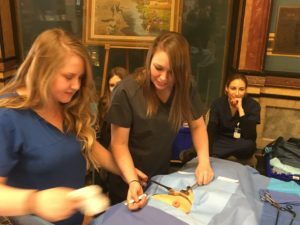 Learners across the country are advocating for Career Technical Education (CTE). 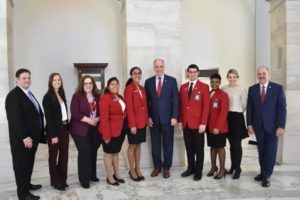 The SkillsUSA national officers came to Washington, D.C. and met with the U.S. Department of Education’s Office of Career, Technical and Adult Education (OCTAE). Learners are also attending CTE Month proclamation signing events. 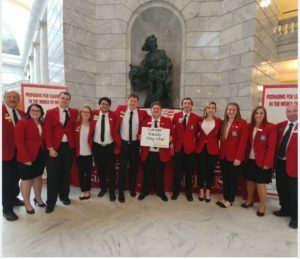 National Skills USA Officers in Washington, D.C.
UTAH: State officers of the seven Career and Technical Student Organization (CTSO) in the state of Utah were at the Utah State Capitol advocating for CTE. WYOMING: Gov. 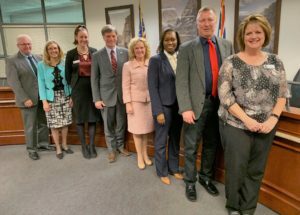 Mark Gordon held a proclamation ceremony to declare February as CTE Month in Wyoming. 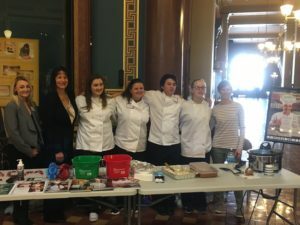 He was joined by State Superintendent of Public Instruction Jillian Balow and CTE learners. After a contentious confirmation hearing and an unprecedented vote requiring Vice President Mike Pence to break a Senate tie, Betsy DeVos was confirmed as President Donald Trump’s Secretary of Education on February 7. In her first weeks on the job, Secretary DeVos reassured state education officials they should move forward with implementing the Every Students Succeeds Act (ESSA) as planned, despite moves from the 115th Congress to eliminate Obama-era regulations on ESSA accountability and teacher preparation. Barring further changes from the administration, state ESSA plans are due on either April 3 or September 18 this year. Meanwhile, the Senate voted by a narrow 51-49 margin to confirm former congressman Mick Mulvaney to head President Trump’s Office of Management and Budget. It is unclear at the moment exactly how Mulvaney will influence the budget and appropriations process moving forward, though he has advocated widespread cuts to federal spending. Mulvaney’s first task will be releasing the administration’s budget priorities for fiscal year 2017 and 2018. While FY18 begins in October this year, the federal government is operating under a continuing resolution (CR) that expires on April 28. Congress will need to either pass a new CR or put together an omnibus budget bill by that date to keep the government running through the fall. Advance CTE has been closely monitoring budget and appropriations efforts and will report back as more information comes available. 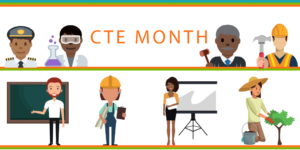 This year’s CTE Month – an annual celebration of Career Technical Education (CTE) – coincides with the 100-year anniversary of the Smith-Hughes Act. On the Hill, there is growing enthusiasm and recognition of the progress CTE has made over the past century. 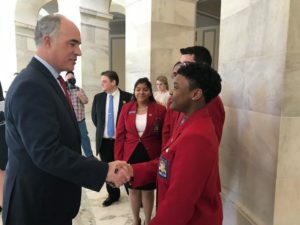 Last week, the Senate passed a resolution praising CTE for helping students develop the skills and abilities they need to be successful in the workforce. The resolution garnered a record 31 co-sponsors before it was passed. 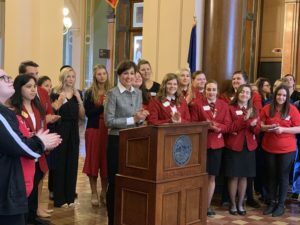 Also, a Valentine’s-Day CTE Caucus event celebrating the past, present and future of CTE drew a crowd. Advance CTE’s very own Kimberly Green spoke on the panel, sharing the history of federal involvement in CTE from Smith-Hughes through today. A video of the event is available here. 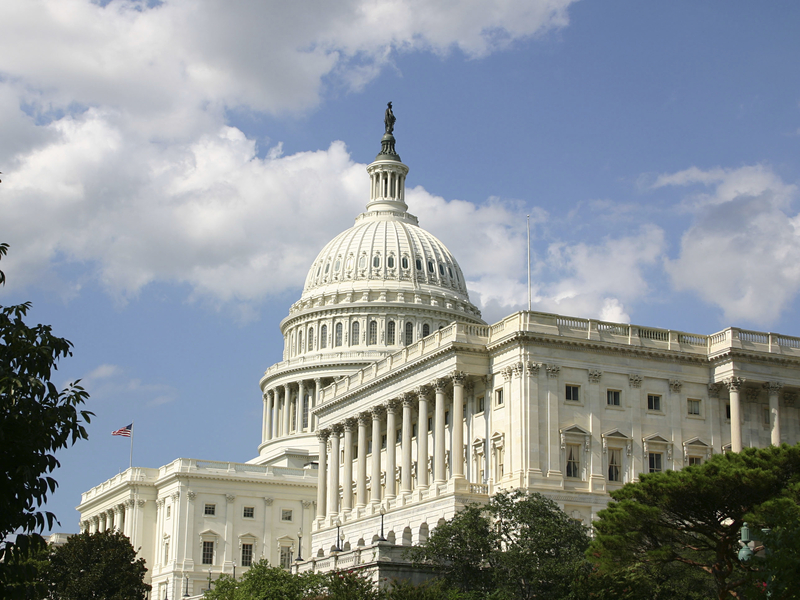 Members of the House Education and Workforce Committee are coalescing around a possible springtime reauthorization of the Carl D. Perkins Career and Technical Education Act (Perkins). 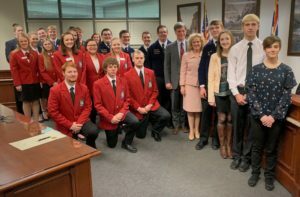 In an op-ed for Real Clear Education, Chairwoman Virginia Foxx (R-NC) wrote that passing an updated Perkins Act was a top priority for her committee, one she aims to “finish … in the coming months.” The Committee has scheduled a hearing on strengthening CTE at the secondary level for February 28 and is rumored to be planning to reintroduce a bill that is in close proximity to last year’s H.R. 5587 shortly thereafter. That bill passed the House in September on a 405-5 margin but stalled in the Senate. I know that there are many items on your legislative agenda, from reauthorization of the Higher Education Act and the Perkins Act, to ways community colleges can help transform the nation’s infrastructure, to allowing Pell Grants to have flexibility in supporting students working to graduate more quickly. And in the days ahead, I’ll look forward to hearing your thoughts and working with you as President Trump’s vision continues taking shape. 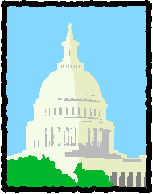 As always, subscribe to our Legislative Update blog series for the latest updates on Perkins and other federal activities related to CTE.